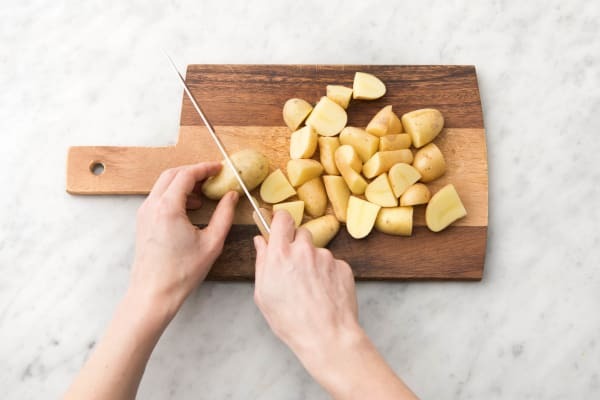 Chop the potato (unpeeled) into quarters. Peel and crush the garlic. Pick the mint leaves. 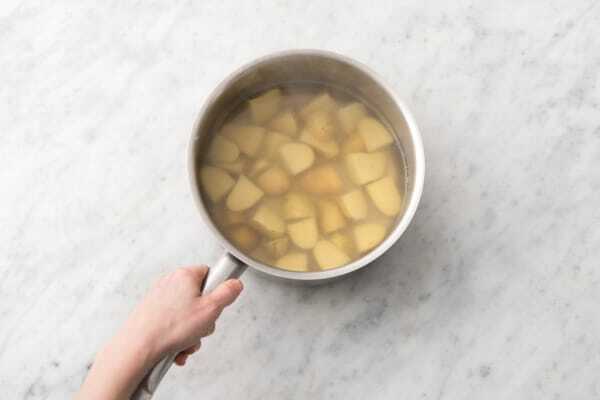 Place the potato in a large saucepan of cold water, bring to the boil and cook for 15 minutes or until tender. Boiling the potato from cold water will ensure it is cooked evenly from the inside out. Drain and return to the saucepan. 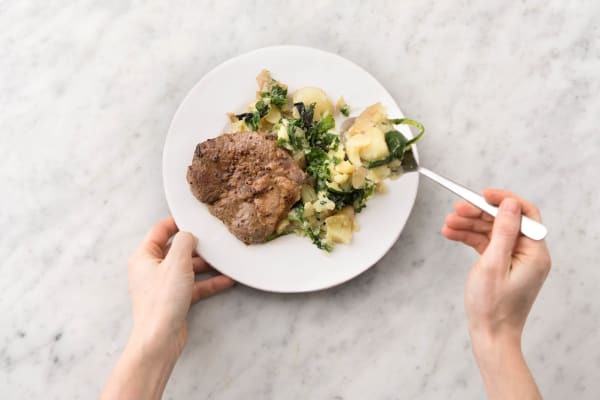 While the potato is cooking, combine the lamb leg steaks, honey, wholegrain mustard, 1/2 the olive oil and the garlic in a shallow dish. Season with salt and pepper and toss to coat the lamb evenly. Set aside to marinate. 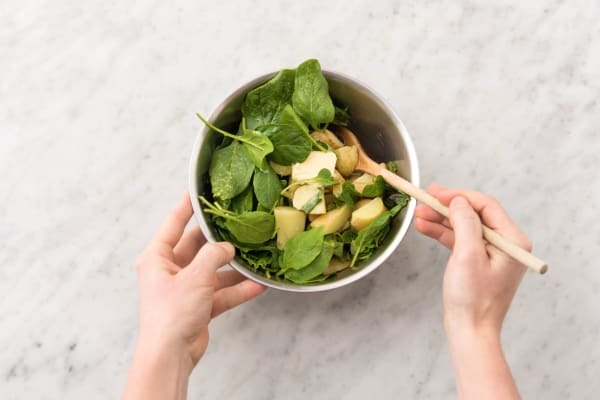 Add the butter, mint, baby spinach leaves and a good season of salt and pepper to the saucepan with the drained potato. Stir to coat the potato until the spinach wilts slightly. Mash the potato mix with a potato masher or fork until chunky but collapsed slightly. 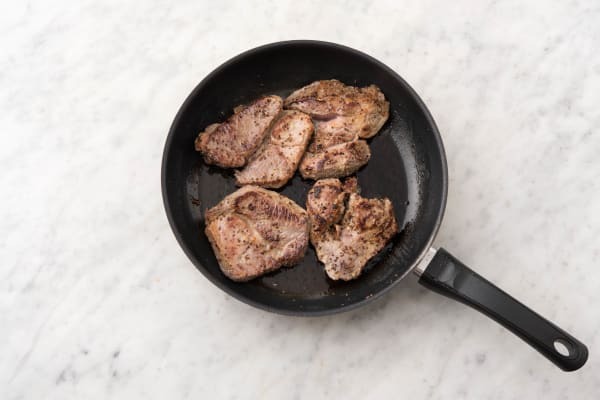 Heat the remaining olive oil in a large frying pan over a medium-high heat. 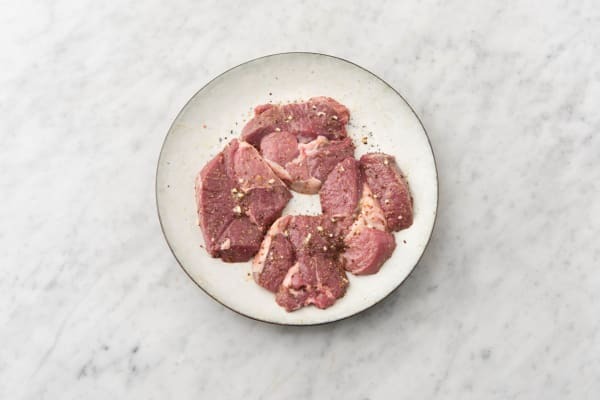 Add the lamb leg steaks (shaking off excess marinade) and cook for 2-3 minutes on each side for medium rare, or until cooked to your liking. Set aside on a plate, covered with foil, to rest for 5 minutes to ensure your lamb is juicy. 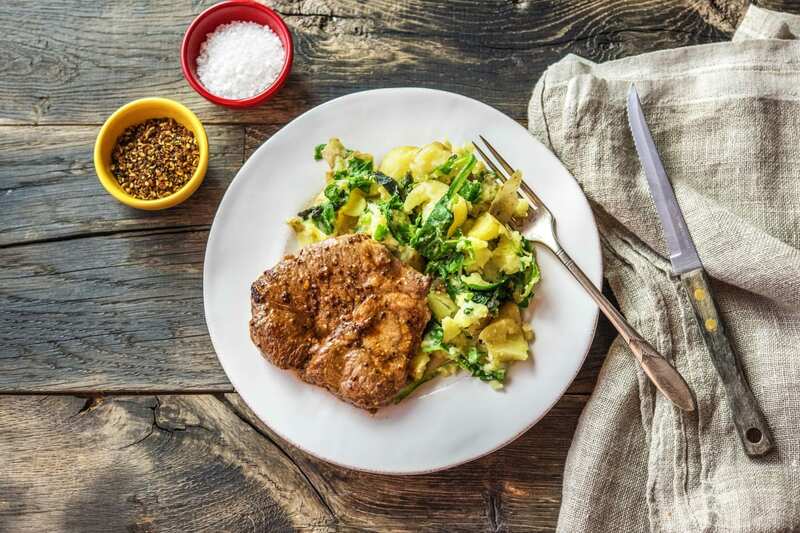 Divide the honey mustard lamb & minted popeye potato salad between plates.